I’ve had a long-standing relationship to the topic of fears of the public as represented by media because it was the first topic that introduced me to media studies in general. I took a media studies class in junior year of high school it really sparked my interest in social sciences. It was perfect because it tapped into this interest in horror I never knew I’d had. I wasn’t even interested in horror particularly at the time but learning about the setting behind horror films and how it shaped them made me fully invested. In the last decade, these fears have become manifested in technology, and modern horror often revolves around or is due to technology gone awry. To get to the core of why there’s so much media surrounding fear of technology today, we have to understand what fears were represented in the past and how they’ve evolved. One of the biggest changes horror films have experienced over time is the location of the featured monster. In the 1930s, the monster was external. It came from far away (often Europe or alienated countries to America at the time), and would wreak havoc on those who dared enter their arena. The connection to society’s fears of the time were the way these countries had been demonized in WW1 and the impending WW2. In the 1950s, horror evolved to reflect fears of the cold war, and an explosion of films featuring aliens invading America became the primary expression of this. In the 1980s, horror films became internal with the slasher sub-genre. People were no longer as afraid of invasion as they were paranoid in their own country, with distrust of government and their neighbors at a relative peak. I lay the foundation of past genre cycles to give background to our current era, the technological horror. In a post- 9/11 America, fears in horror are rooted in reality. This has led to the explosion of found-footage films, but also realism in other aspects. Technology is an easy focus to feel realistic, as it’s a threat in the way many of us don’t fully grasp how it works, especially given the rate of exponential increase in the power of our technology. While all horror related to technology may not be entirely rooted in our current reality, the audience can observe a direct path of how our current technology can evolve to reflect the tech-horror on screen. Enter Black Mirror, a Netflix exclusive show about our anxieties surrounding technology. It’s wildly successful as it reflects the fears salient to our current technology in ways we can imagine happening. There are episodes like Nose Dive, which are very grounded in reality. This episode focuses on the fear of how social media could be used to create a fascist society if used in a way which dictates what privileges we have. In the episode, people can rate each other’s social interactions, and those who are more popular are not only respected more highly, they have tangible benefits, like living in the nicest areas or even better access to renting a car or taking a flight. In one scene, someone’s social rating drops so low they can’t enter the door to work. The episode particularly salient given the news of a Chinese social rating system, that while admittedly works very differently to the episode, we likely all extrapolated in our heads to reflect the episode. An episode like Men Against Fire, is more rooted in science fiction than Nose Dive, given it depicts how soldier’s minds’ have been altered to perceive their enemies as unhuman. This means they’re more motivated to kill the people they’re at war against, and once the character we follow has a malfunction that makes him see reality, he comes to understand the purpose, genocide of the enemy due to their genetic problems related to disease and physical performance. Given his previous killings of innocent people while under the influence of the brain modification, he decides to keep the process working as he can’t face his actions. The scariest part of all is that the character we follow actually agreed to this operation when he signed up to join the army, not reading the fine print, as so few of us do with our daily use of technology. I think Black Mirror is so popular due to its relevance in modern society where our technology is used without thought to its effects. Of course, we can’t entirely dismiss technology, it offers so many positives in our lives that we’ve come to need. While I can take steps like not having an Instagram so I’m a little more unplugged, some social media remains an absolute necessity for the modern college student. 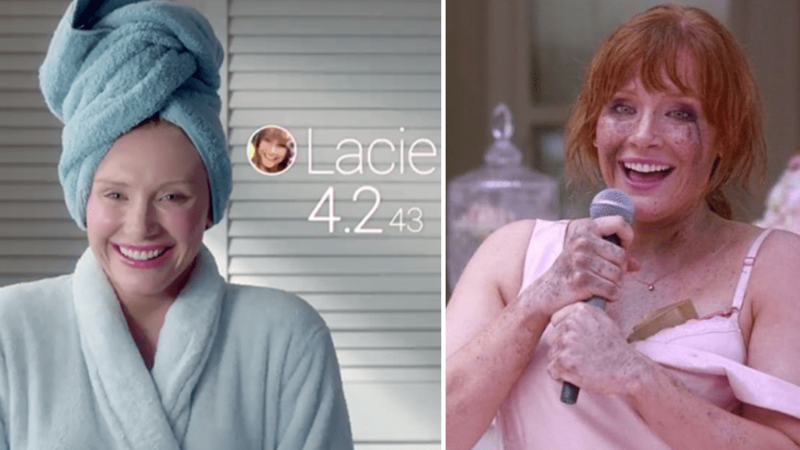 The fact that we use our technology so mindlessly seems more of Black Mirror’s target if we think of the horror in the show in terms of trying to motivate us to think about our actions. Until recently, I didn’t think very much about the negative aspects of technology very much. As we talked about in relation to the Do Not Track interactive documentary, these negatives have only got more relevant in the public consciousness in the last couple years. Our awareness has been heightened due to the tangible ways social media has been abused with the Trump election, fake news epidemic and Facebook privacy leaks among other things. I would say if I participated in the documentary back when it was released, my privacy concerns would have been less than they are today. Technology such as Artificial Intelligence may still be a short way from being a high-profile anxiety, but it’s certainly becoming much more salient with development of self-driving cars and automated functions that impersonate people, like the Google assistant demo scheduling a haircut. Many of the world’s smartest technology innovators are highly wary of Artificial Intelligence, so it could easily be the next high priority technological anxiety. I think Black Mirror is the best media to get a lens into America, and the world’s, biggest fears of the moment as the TV show format gives more chances for narrative exploration and depth than a film. Out of all the TV shows at the moment, I also think it captures the essence of anxiety surrounding technology. Its also a personal favorite of mine given its unique ability to both scare and make me think about my use of technology.